A 23-year-old Clearing man has been arrested and charged in connection with a stabbing that occurred at about 10:00 p.m. Saturday, March 2 near the southeast corner of 63rd and Mayfield. Police responding to a call of a man stabbed said they saw the victim, a 20-year-old Clearing man, being treated by CFD paramedics near the 7-Eleven at 63rd and Austin. The victim told police that he was walking down the sidewalk in front of 5859 West 63rd Street when a man came up, stabbed him in the chest and then fled on foot. Based upon the description given by the victim, police apprehended Lopez a short time later and brought him to the victim, who positively identified him. The victim was transported to Christ Hospital, where he was listed in stable condition with a partially collapsed right lung. 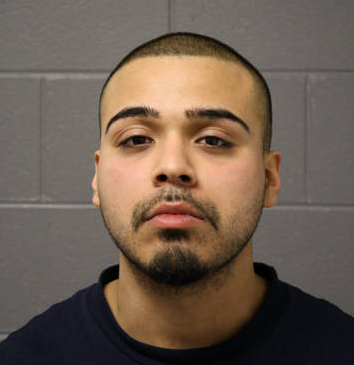 The CPD incident report did not describe the attack as a gang-related incident, although they did say that Lopez has gang affiliation. There is no indication that the victim is a gang member. Additionally, the CPD incident report does not indicate whether a weapon was recovered. Burglars broke through the roof of the Suds Factory coin laundry, 4348 West 63rd Street, disabled the alarm system and stole a safe, assorted tools, and over $3,000 cash. The crime was discovered by the owner of the business when he arrived to open up for the day at 7:25 a.m. Thursday, February 28 and saw the back door open. Police said they are reviewing footage from several surveillance cameras that may have recorded the crime. 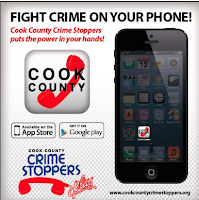 A thug walked into a cell phone store at 5002 South Pulaski and made off with $900 cash. The crime occurred at about 6:00 p.m. Wednesday, February 27. The offender walked in, accosted a 19-year-old clerk and said "Don't move, or I will hurt you now. Give me all your money." The clerk told police that the robber appeared to be holding a weapon inside his hoodie. After taking money from the cash drawer, the crook ran away north on Pulaski. He is described as a white man age 45-55, 5'6 and 175 pounds, blue eyes, medium complexion, wearing a blue hoodie and blue jeans. Burglars pried open the side door of a home near 80th Place and Karlov and stole a TV, assorted jewelry, a wristwatch and assorted clothing. The crime was discovered by the victim, a 32-year-old man, at 4:00 p.m. Wednesday, February 27. Burglars broke through a front window of an unoccupied house near 83rd and Scottsdale and stole a water heater and an air conditioner. The crime was discovered at about 5:00 p.m. Saturday, March 2 by a 30-year-old man working for the house's owner, a bank. Burglars kicked in the back door of a home near 50th and Kildare and stole $500 cash, assorted medications and assorted jewelry valued at $3,000. The crime was discovered by the victim, a 58-year-old woman, when she arrived home from work at 1:40 p.m. Wednesday, February 27. Burglars forced open the service door of a garage near 61st and Nagle and stole assorted car parts, assorted tools and a car turbo kit. The crime was discovered by the 22-year-old son of the victim, a 58-year-old man, at 6:50 a.m. Friday, March 1. Burglars forced open the back door of a house near 85th and Kildare and stole three TVs. The crime was discovered by the victim, a 59-year-old man, when he came home from work at 3:15 p.m. Friday, March 1. Burglars pried open the door a cell phone company's maintenance shack at 8651 South Central Park and stole an undetermined amount of copper tubing. According to U.S. Cellular security officials, the crime occurred at about 10:30 a.m. Wednesday, February 27. Burglars broke through a side window of a house near 82nd Place and Kilpatrick and stole a TV, a laptop computer, a Wii, an iPad, a Bose sound system and $1,200 cash. The crime was initially discovered by a neighbor who saw a white van pull up in front of the victim's house. The neighbor did not initially call police because she thought it may be a legitimate home repair call. But when she saw the van back into the victim's driveway and saw men loading a TV from the victim's house, she called 911. The burglars escaped, and the neighbor could only describe them as three white Hispanic men age 17-25. Burglars broke through a back window of a home near 62nd and Kolin and stole two TVs, a Wii, an Xbox, a camera and over $7,000 worth of jewelry including a Prada jewelry box. The crime was discovered by the victim, a 43-year-old man, when he and his family came home at 3:50 p.m. Thursday, February 28. Police investigating said they noticed drops of blood on a kitchen countertop. Want to work directly with Chicago Police to prevent crime in your neighborhood? If you live in Beat 815 or 821 (see map), come to St. Bruno School (south entrance) at 7:00 p.m. Wednesday, March 6. If you live in Beat 834, come to Bogan High School at 7:00 p.m. Thursday, March 7. Hear updates on crime in your neighborhood and learn how you can work with neighbors and police to make the community safer and better for all. Shortly before the stabbing on 3rd and Mayfield there was a call on the scanner regarding a person shouting gang slogans at the same intersection. I wonder if it were Lopez or the victim. Good job CPD. They solved this one in less than 15 minutes. I have to say its beyond sad and quite aggravating that the neighborhood that I've called home for 30 years is the way it is. As a child I may have just been nieve, but I don't recall having this many problems in our area. Garfield Ridge will always be home for me, I just pray that I don't feel the need to relocate to avoid these scumbags. God Bless our CFD and CPD! !